← The position of acne on your face can tell your health! 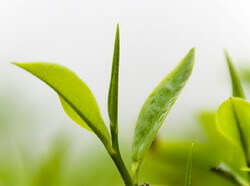 Green tea extract is associated with several skin benefits. Green tea extract is derive d from leaves of Camellia sinensis. Green tea extract is naturally rich in antioxidants, which has a cell-protecting function as well. It’s a strong antioxidant effect that protects the skin from the damaging effect of free radicals. Green tea extract also contains the Methylxanthines that stimulates skin microcirculation and therefore positively influence the tone and health of the skin. In addition, you can enjoy whether drinking green tea or applying directly to your skin that very good with health and skin benefits. Even the leaves can be used as the gentle scrubs that give your skin a healthy glow. This entry was posted in Active Ingredient and tagged active ingredient, benefit, Camellia sinensis, green tea, green tea extract, skin care. Bookmark the permalink. The position of acne on your face can tell your health!